After hours of scrubbing, you officially give up and let out a fed up sigh of breath. How are you going to explain this to your boss, who just so happens to be coming over for dinner the following day? You get in your car and travel to the closest store, on the hunt for something similar, only to come out empty-handed, but just as you’re exiting, you catch a glimpse of a variety of quality, modern, beautiful shutters. Perhaps it’s time for a change you think to yourself. However, you have no idea where to start. When it comes to change, it can be challenging, as we are evolving, and so is our style. Shutters have been around for a while, and there are many types of exterior shutters that meet all sorts of needs. Invest in decorative raised panel shutters. This creates an inviting, yet formal, garden style atmosphere to your home, creating a feeling that your home extends into the garden. Its dark paint choice gives off a dramatic shade to the flowers, as well as the window frame. Are you looking for a relaxed look? 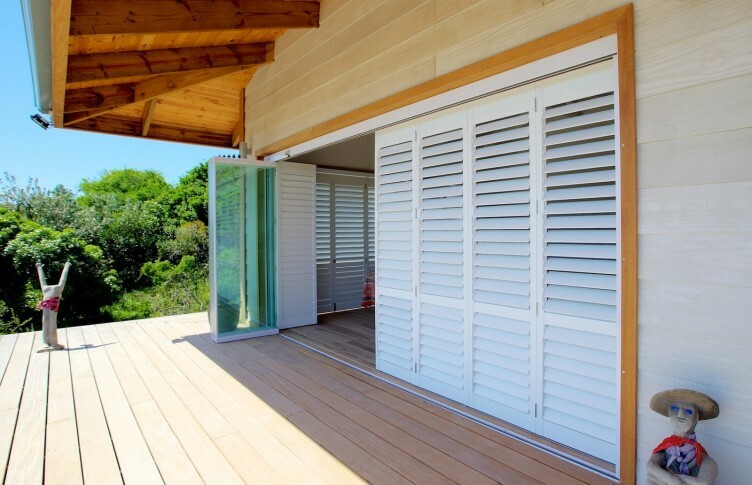 Plantation shutters are the perfect solution, as it has wide louvres, which can withstand the roughest of storms, while allowing control of the airflow in and out of your home. These exterior shutters contain angled slats that let light and air pass through. This product has a more refined look than the more low-key panel shutters and best suits homes that have either a more modern or classic appearance. Simple in design and construction, these exterior shutters contain several boards, the same size, all lined up against one another vertically, while there are horizontal slats holding them in place at the bottom and top. If you prefer rustic over modern, then this is the ideal option for you as it was initially used on barns and sheds. When it comes to style and exterior design, we are all different, but with the vast variety of exterior shutters in today’s market, there is an option for everybody, whether it is modern, bohemian, rustic or vintage. If you would like to see these different options please get in contact with us and we will give you sound advice on the best options to suit your unique application. This entry was posted in Shutters and tagged exterior design, exterior shutters, shutter, Shutter Supreme, Shutters.